Upon hearing about the (ill-fated) proposed parking garage for the May Company building a couple weeks ago, I wanted to highlight the existing amount of parking that already exists downtown. here’s a map of Downtown Cleveland parking broken down by garage, underground, and surface, hosted by mapbox. 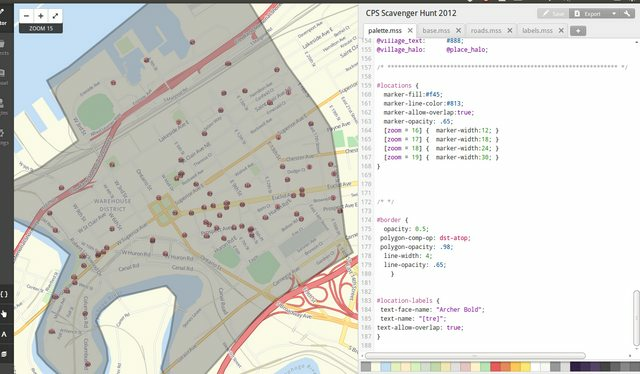 The map design is based on osm-bright and the source is available on my github page. (Update: There are still a handful of lots that are exclusively for some downtown apartment complexes – particularly on West 9th, that are unmapped at the moment). Last week, I figured out how to extract the Cleveland area that I use for the map from the osm data for Ohio. Shown in the commands below, the area is selected by Lat/Long points. (Your top is the northern most point, left is western, bottom is south, and right is east). First time around, I received an error stating the osmosis command couldn’t be found.. though I had chmod u+x osmosis. and voila, it worked, leaving me with the .OSM data to work with. An updated version 4.1 is on the way, hopefully by tomorrow. 4.1 will include Hough and North Collinwood. Cleveland neighborhoo map – Hiccup! It’s been longer than I anticipated for an update to v4 of the Cleveland neighborhood map because of an unexpected hiccup. 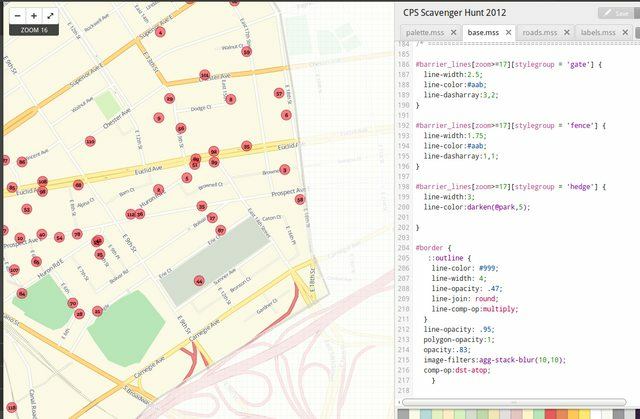 I was attempting to download the OpenStreetMap XML Data of Cleveland through OSM’s API. (see: this image). Alas, I cannot download it this way, as I had in the past because OSM’s API limits requests to 50,000 nodes. Since I last downloaded the data in December, the number of nodes as increased to over 50,000 thanks in part to mostly me and a few others adding buildings, some roads, cemeteries, and parks to OSM. Instead, I’m thinking that I’ll have to download the the state of Ohio and then somehow separate the Cleveland data from it.